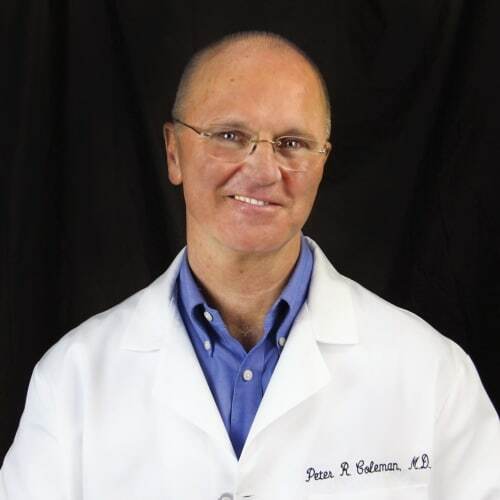 Dr. Peter Coleman, The Coleman Institute’s National Medical Director, has dedicated his career to treating addiction patients. Beyond his medical experience, he understands first-hand the struggle to get clean and stay clean due to his own personal struggle with addiction. I grew up in New Zealand in what I thought was a pretty normal family, but I later came to realize my mother was both an alcoholic and addicted to sleeping pills. Like most kids, I experimented with alcohol as a teenager. I remember the first time I got drunk was with cherry brandy. A friend and I had stolen it from his brother. We got so drunk that we vomited and had terrible hangovers — but the one thought that went through my mind was that I absolutely loved the feeling I got from alcohol. And I was definitely going to do it again. While I was in high school, even though I was headed to medical school, I started associating with other people who liked to smoke pot and drink a lot of alcohol. Right from the beginning, I started getting into some trouble with my drug and alcohol abuse. On one occasion, the police came to my house and accused me of selling pot at high school. Fortunately, my father and I were able to convince them that a good boy like me would never do something like that! Once I left for medical school, I concentrated on my studies during the day and on partying hard in the evenings. I felt very proud that I could maintain my studies while still getting drunk and taking drugs at night and on the weekends. Over the years, my drinking and drug use increased. In medical school, I was forced to keep a tight control on my addictions, especially when exam time came around. But after I completed medical school, I was on my own. I started partying more and hanging out with people who were using harder drugs. I started using cocaine and experimenting with opiates. I had always wanted to come to America, and in 1983, I moved here and took a job in Virginia at a small country clinic. By then, I was using IV narcotics. My drug use rapidly escalated to include cocaine and IV Morphine, and very quickly spiraled out of control. At this point, my supervisors began to notice that I was no longer able to function at work. One day, after a particularly long bout of heavy drug use, I used too many drugs and nearly died from an overdose. I passed out and stopped breathing. Fortunately, one of the nurses found me and got help, and someone was able to resuscitate me. Amazingly, even after a near-fatal overdose, I was still in full denial of my addiction. I tried to convince the doctors that I didn’t have a drug problem and would quit on my own — even though I didn’t intend to do so. Thankfully, they insisted that I go to a prolonged treatment program, and that if I didn’t, I would never work as a physician again. In October 1984, I entered a treatment program in Hampton, Virginia, and have stayed clean and sober since. Addiction is a genetically inherited brain disorder. No one wants to suffer with addiction, no matter what their choices look like from the outside. Your addictive illness is not your fault, but it is your responsibility to get into recovery and stay in recovery. People who pay close attention to their recovery can maintain lifelong abstinence and have a happy and fulfilling life. After beginning my own recovery, I decided to work in the field of addiction. Since 1984, I have done my best to develop programs and treatments that help people get in recovery and stay in recovery. My experiences have taught me that almost all people can recover, if they put forth maximum effort. Lifelong recovery requires diligence and effort, and at times, you simply have to sit through discomfort. The process involves changing the way we think about the world, our attitudes, our beliefs and, mostly, our behaviors. I have been very blessed with the opportunity to get and stay in recovery for more than 30 years — and equally blessed to be a part of so many other peoples’ recoveries.